Theodore Wirth Pkwy. & Cedar Lake Pkwy. Southwest Loop: Approximately 1.9 miles of single track. 1.9 miles are intermediate difficulty. Brownie Lake Loop: Approximately 1.5 miles of single track. 0.75 miles are intermediate to expert difficulty, 0.25 are expert difficulty, and 0.5 are extreme difficulty. 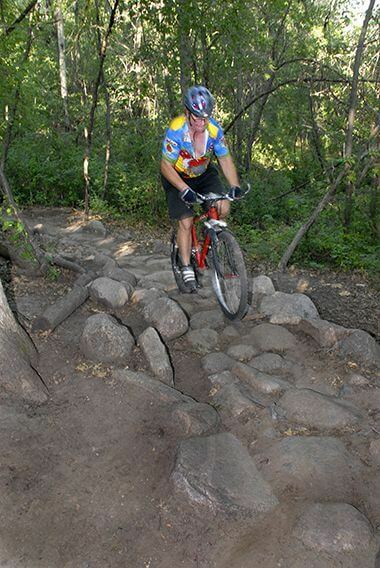 Minneapolis Off-Road Cycling Advocates (MOCA) volunteers monitor and maintain the off-road cycling trail. 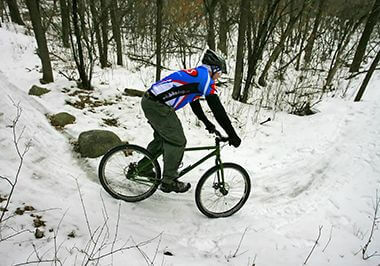 Open to cyclists, hikers, trail runners, and snowshoers. Parking available at Wirth Lake Beach. Trails are closed to all users when it is wet. If your foot or tire leaves a track or footprint in the tread, the trail is closed. View trail conditions on the MORC user forum. 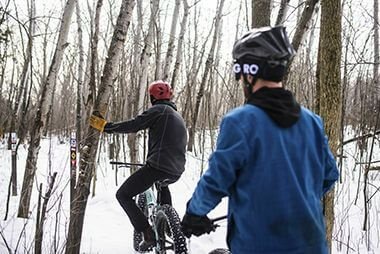 Penalty for Building Unofficial Trails: Construction permits are required by the MPRB for any projects within the park system, including trail building. MOCA obtained a construction permit, and the trails it constructed in accordance with the permit are sustainable and meet the MPRB’s risk management considerations. Engaging in construction within the park system, i.e., building unofficial trails can result in a $1,000 fine per incident. 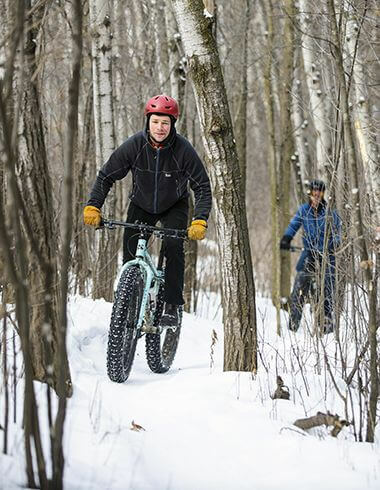 We are dedicated to using the latest techniques for building fun and sustainable trails. 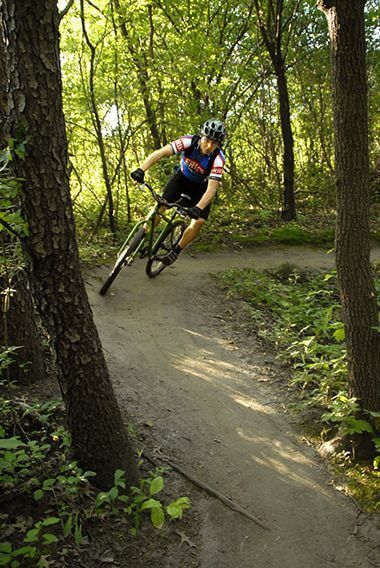 Sustainable natural surface trails are constructed from native soils and come in the form of walking paths, running paths, nature trails, and mountain bike trails. 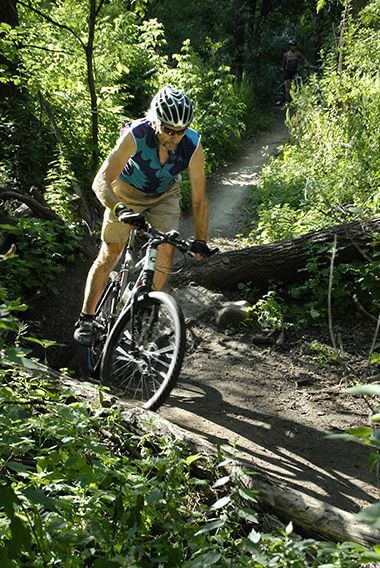 The natural surface trails within Theodore Wirth Park officially opened in 2005 as a sanctioned facility in the Minneapolis park system. 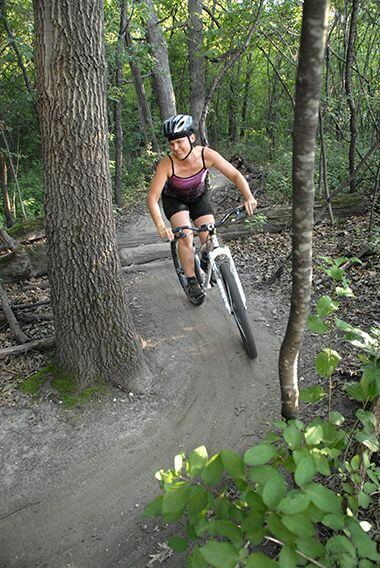 The trail was originally a demonstration project to prove the sustainability of off-road trails in the system. 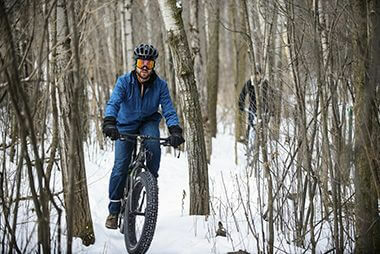 The project demonstrated that a sustainable, safe, and low-maintenance trail can protect natural resources, challenge off-road cyclists, and be compatible with other park uses. 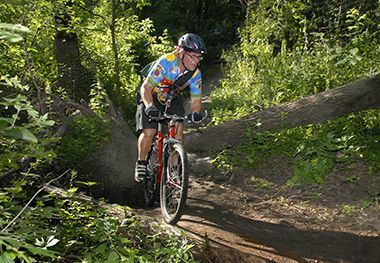 The trail was developed according to the best practices of Minneapolis Off-Road Cycling Advocates (MOCA) and Minnesota Off-Road Cyclists(MORC). 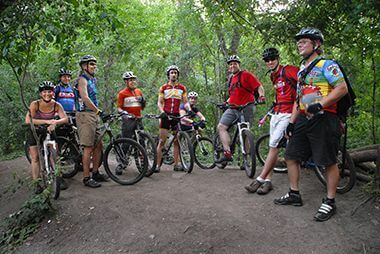 The partnership between these two groups and the Park Board is essential to the long life of the existing trails and the creation of new trails.